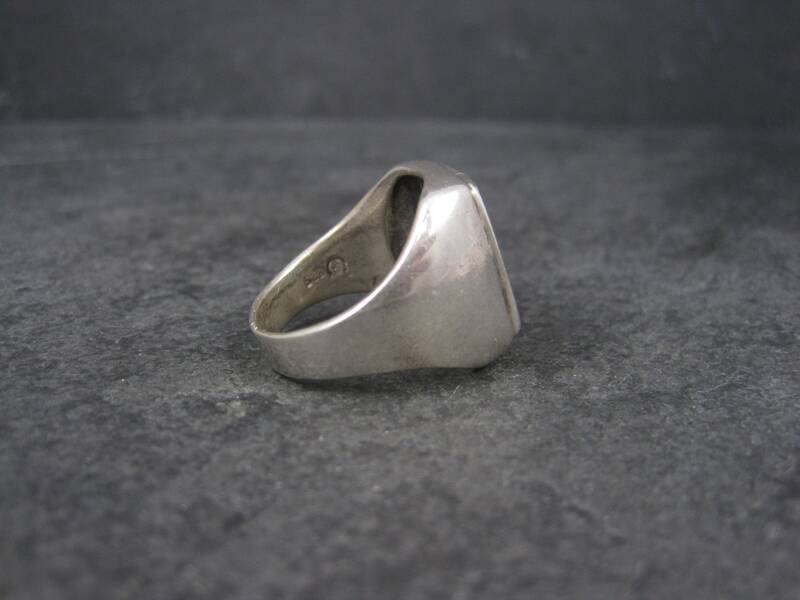 This beautiful mens ring is solid 925 sterling silver. 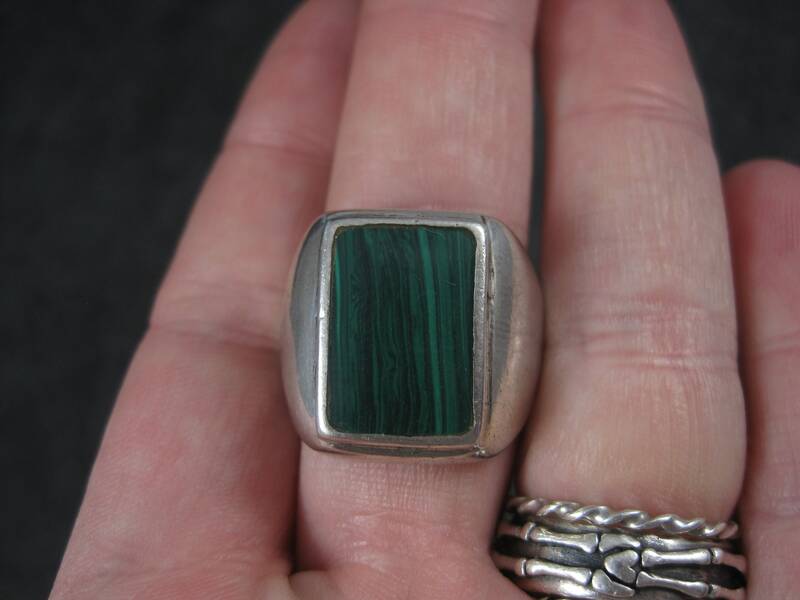 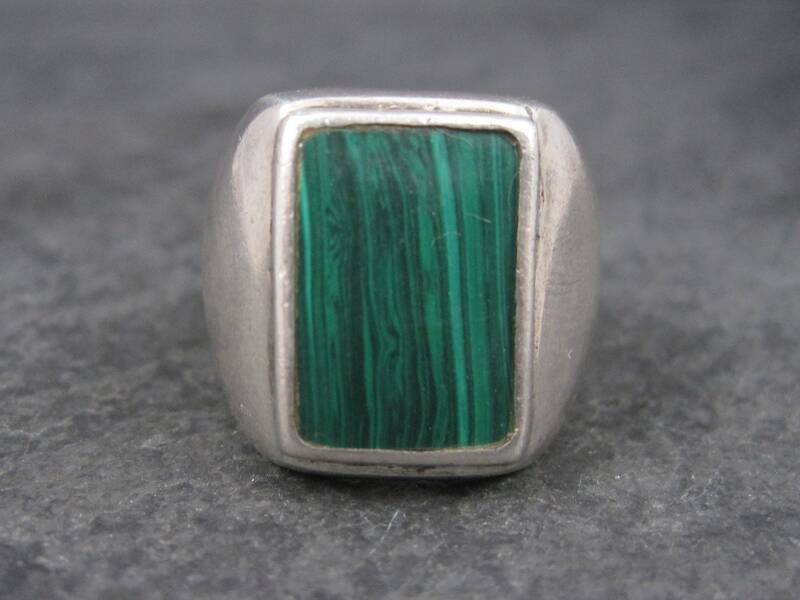 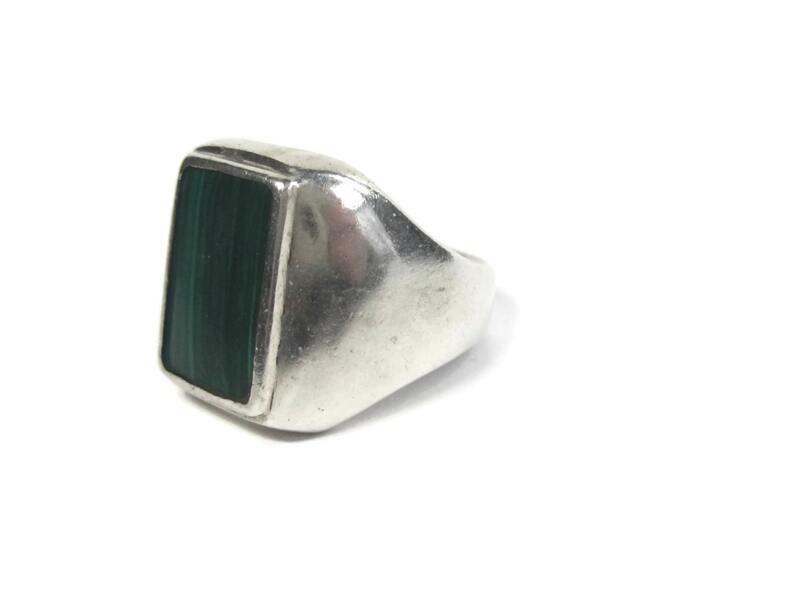 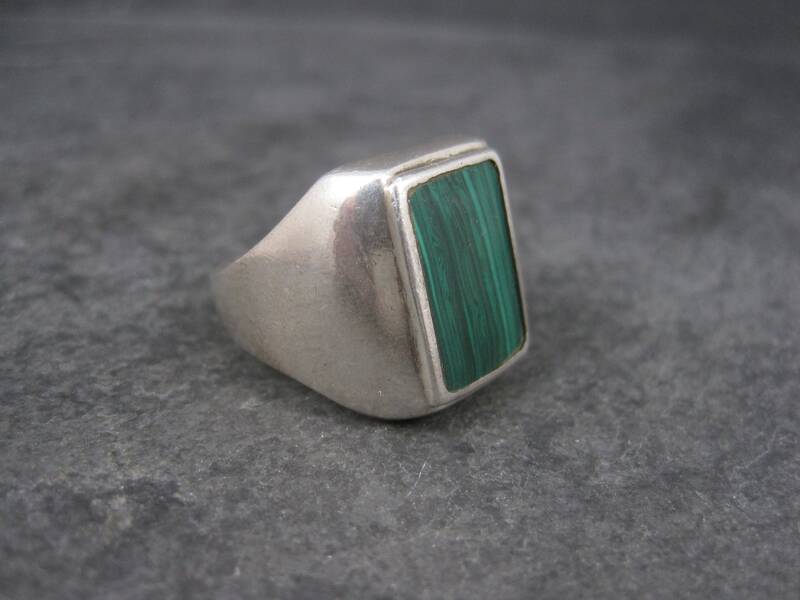 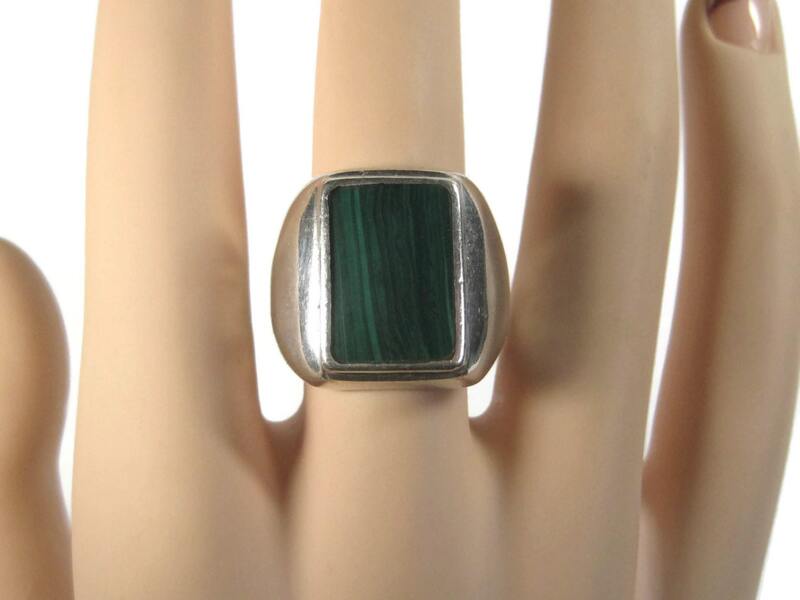 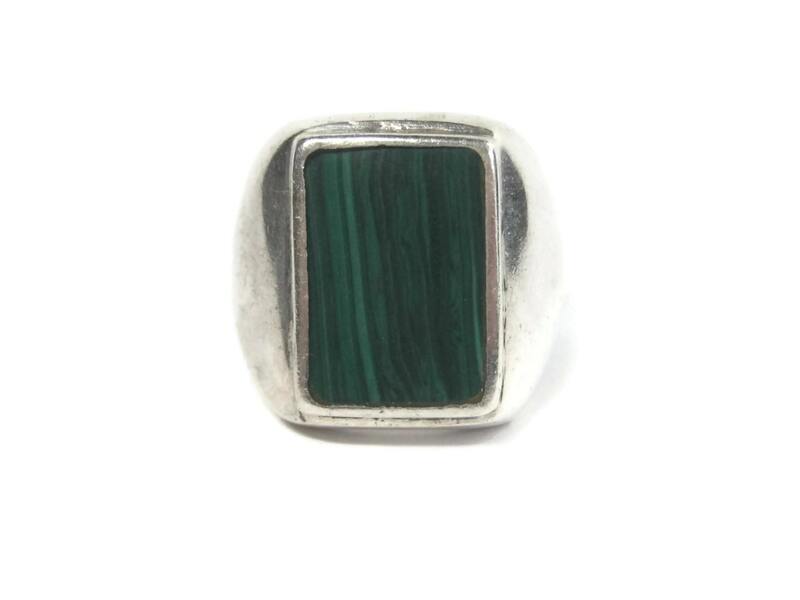 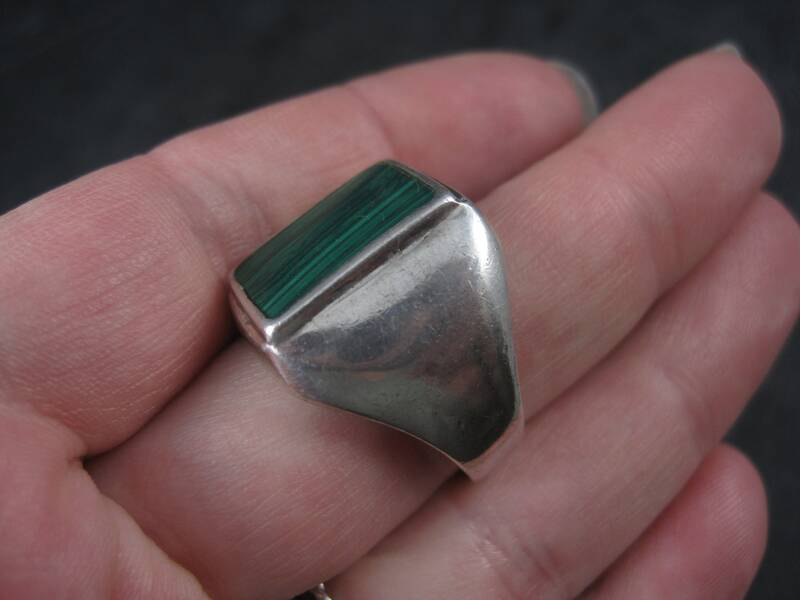 It features a natural malachite gemstone. 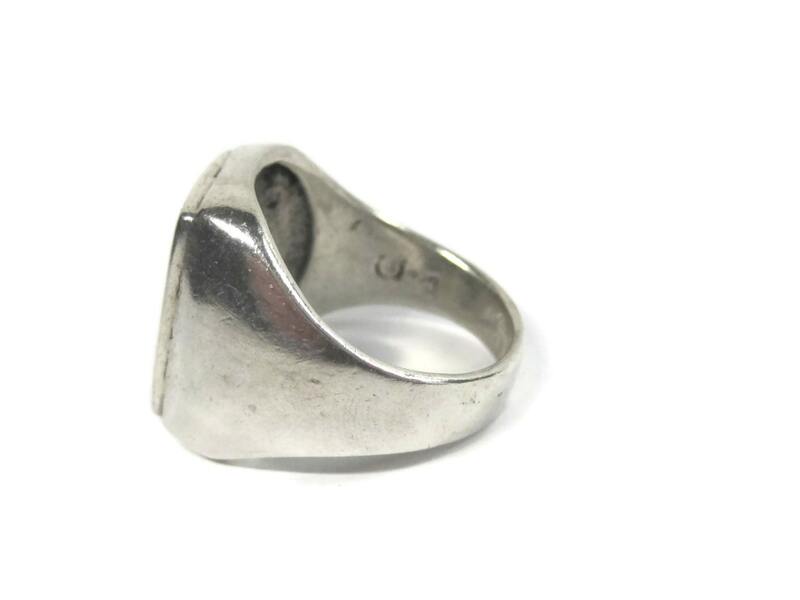 The $ is a hallmark for Silvex International; a jewelry company out of california from 1992 to 2003. 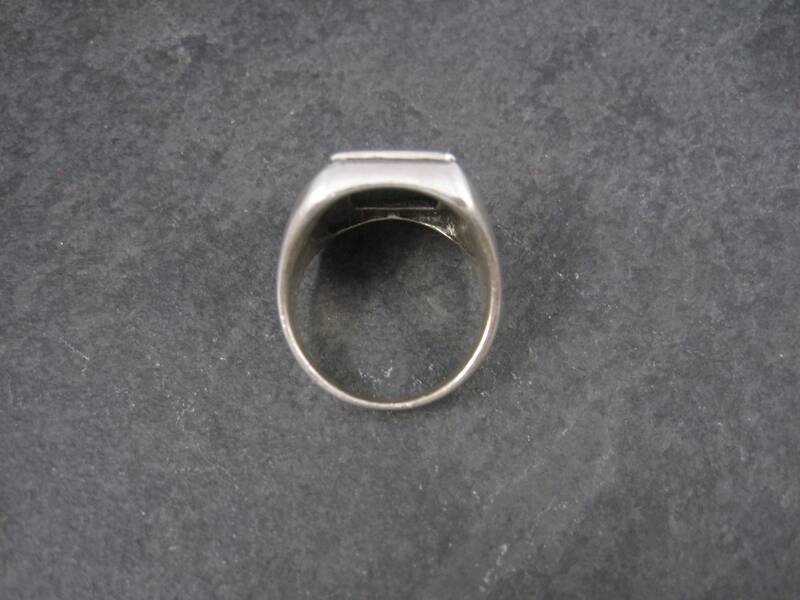 Condition: Minor character marks in the silver - otherwise excellent condition.